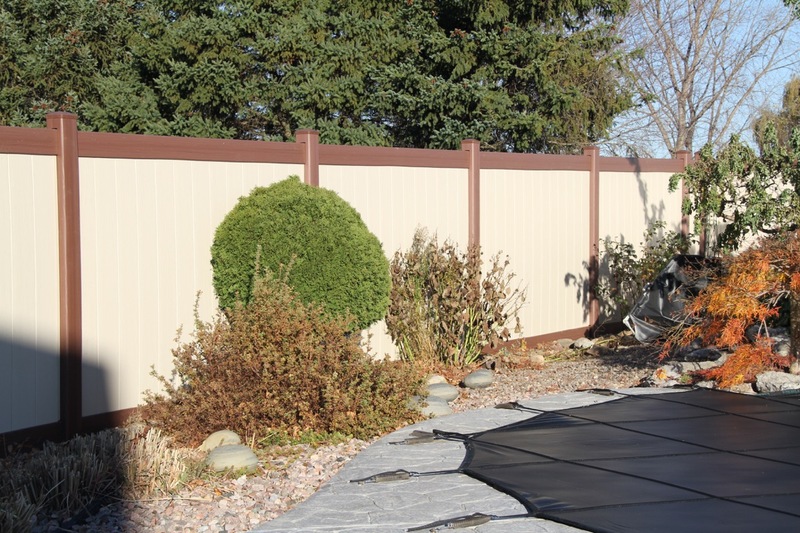 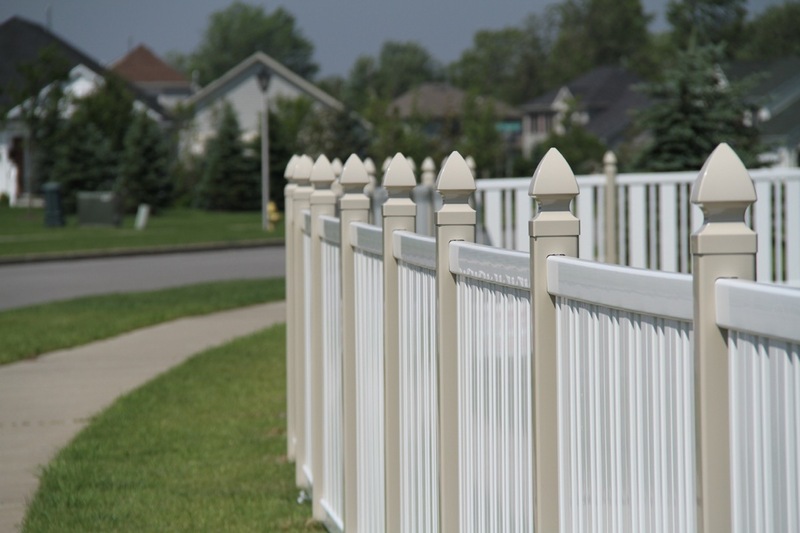 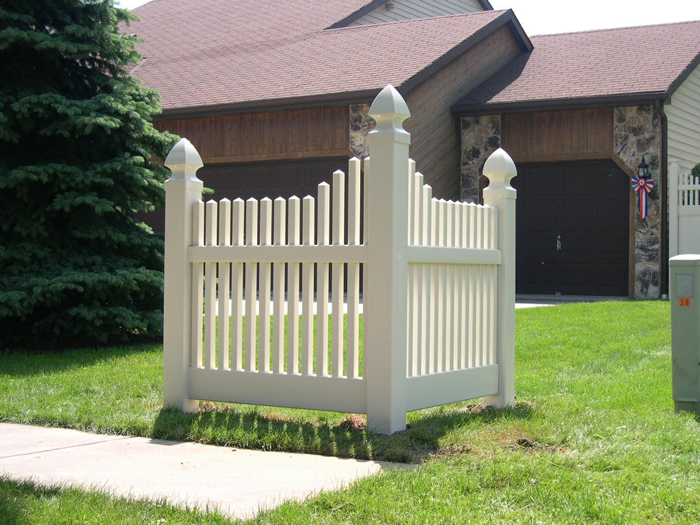 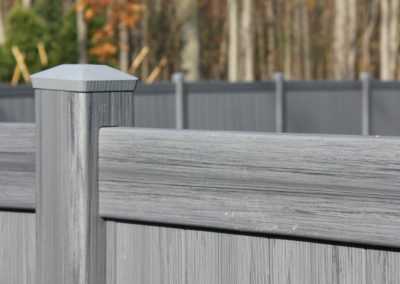 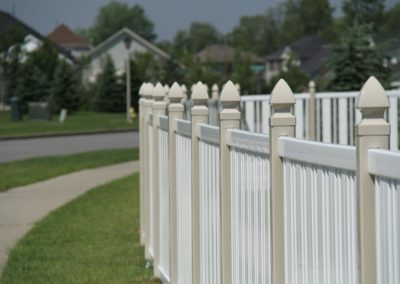 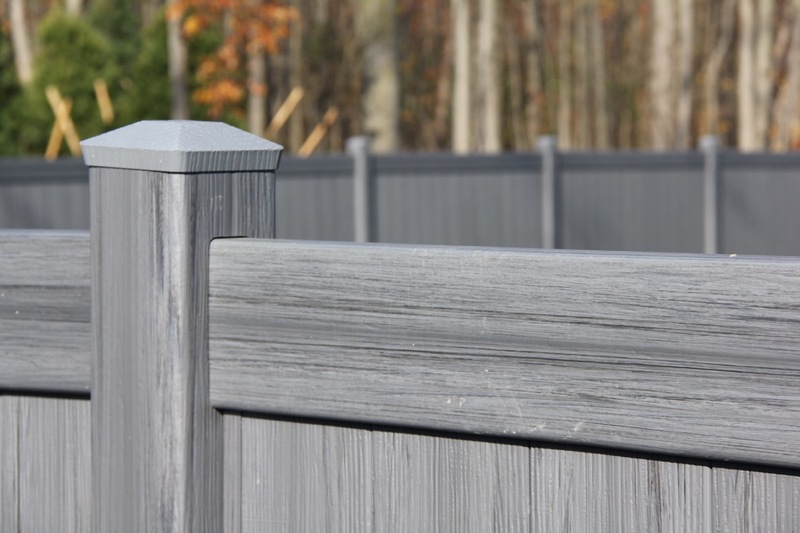 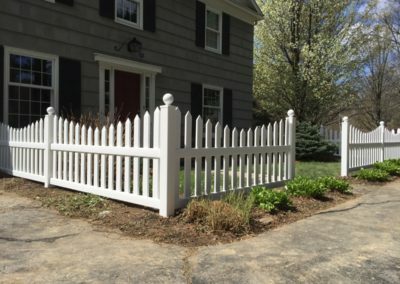 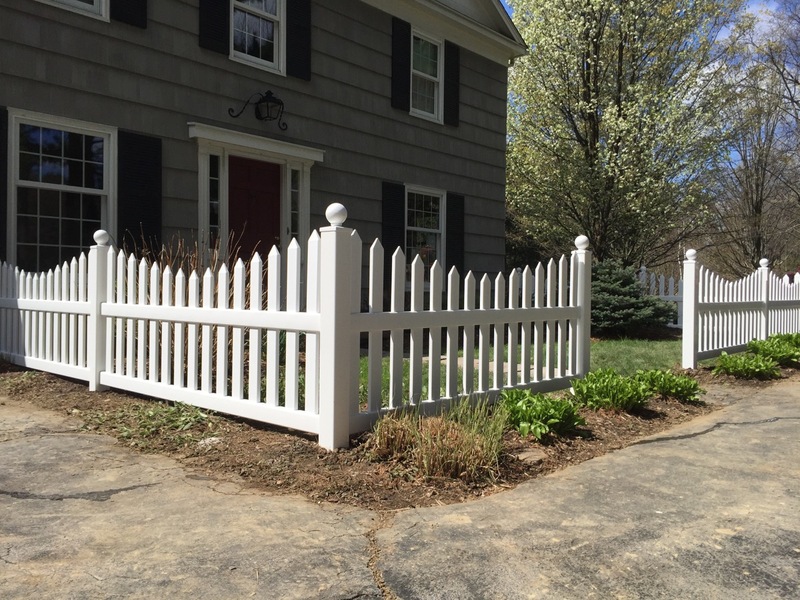 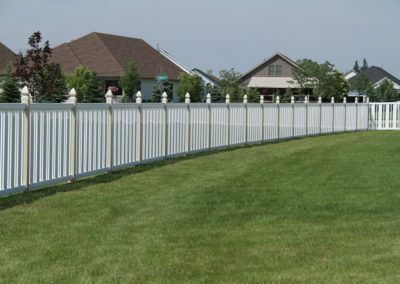 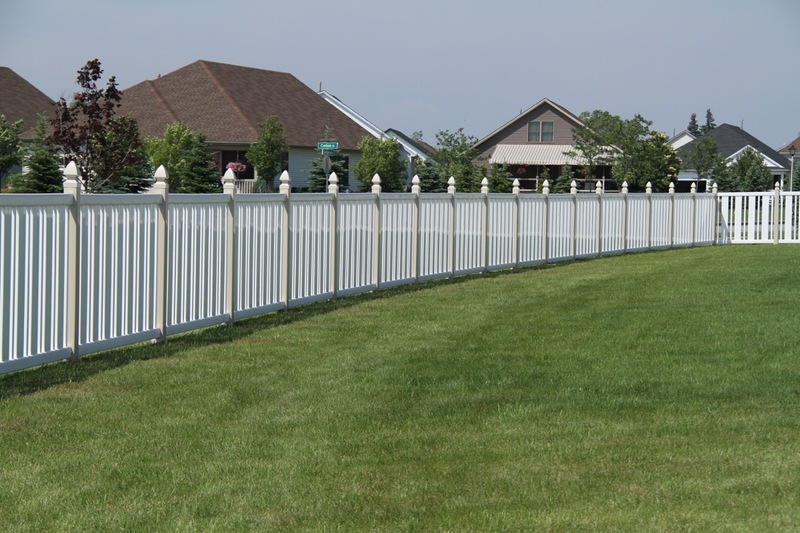 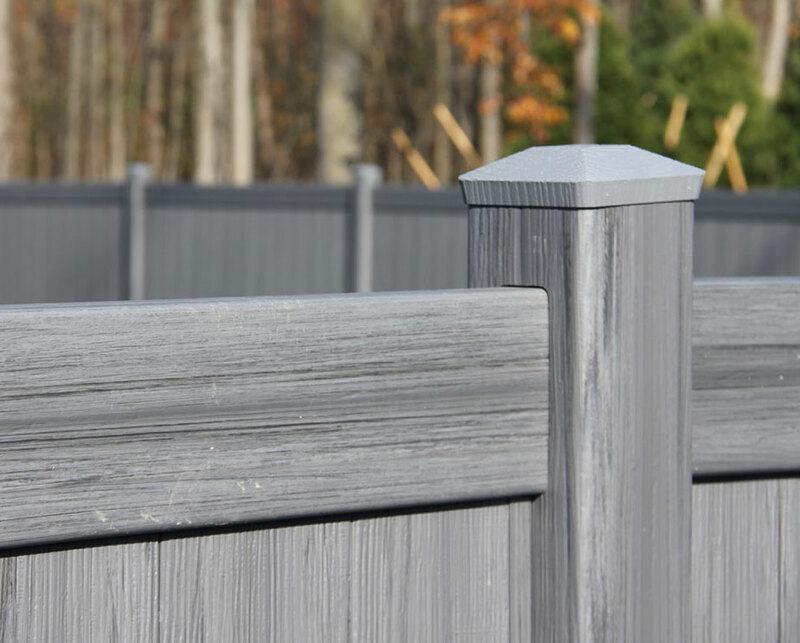 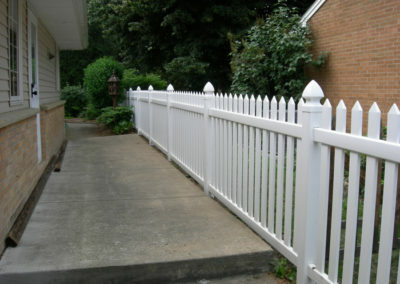 Within Certainteed’s Bufftech® line of vinyl fences and railings, you will find hundreds of styles and color combinations that will last for years to come. 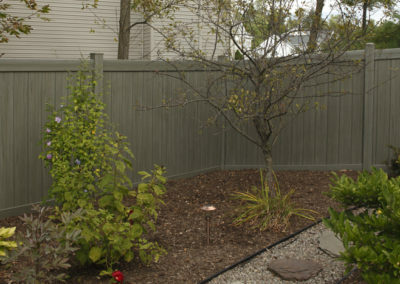 Many people are drawn to the idea of living in a sharp, clean, maintenance-free world. 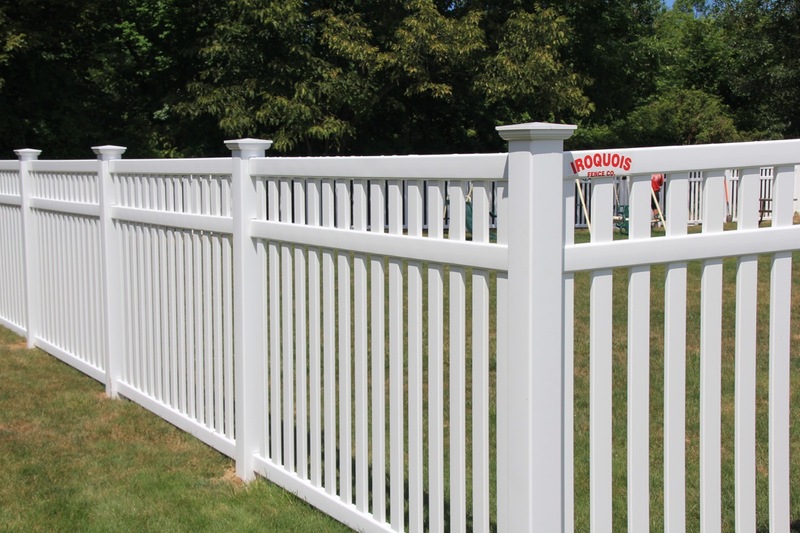 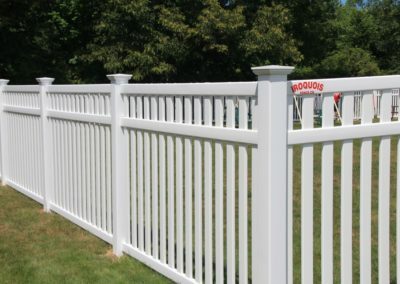 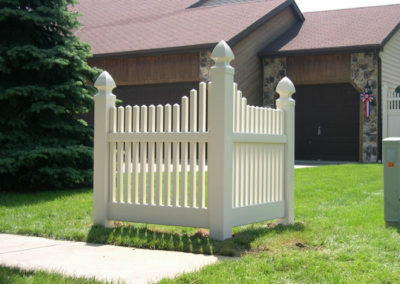 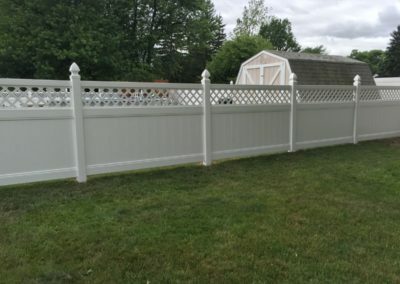 That’s why at Iroquois Fence, it’s our job to not only help you find the vinyl fence that’s perfect for your backyard oasis, but to make sure that it stands the test of time. 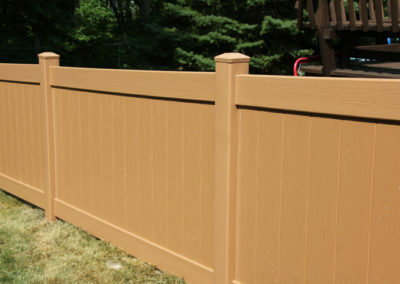 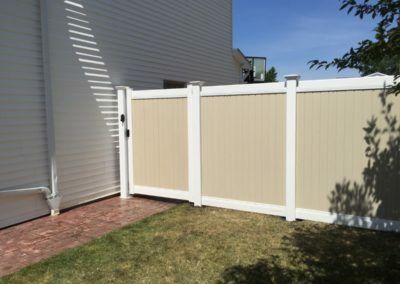 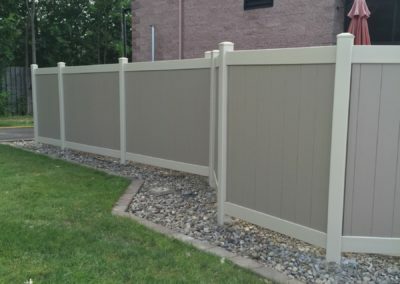 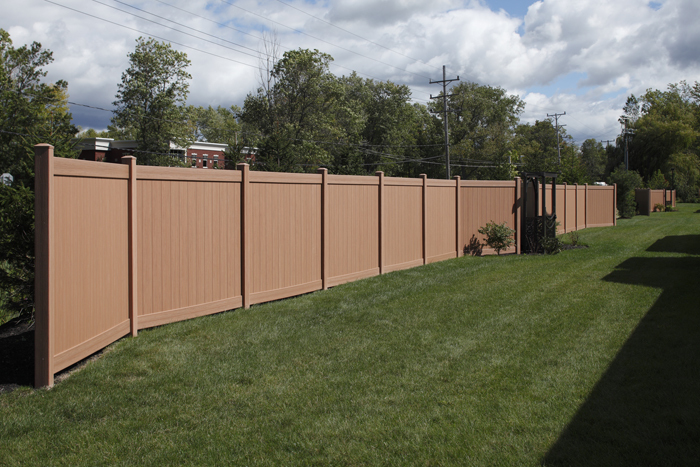 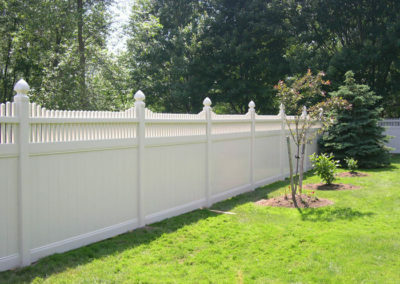 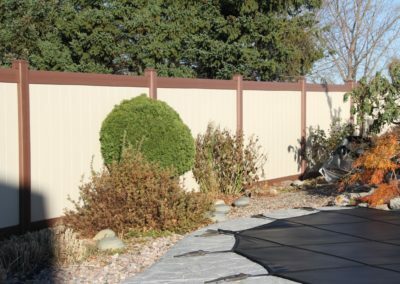 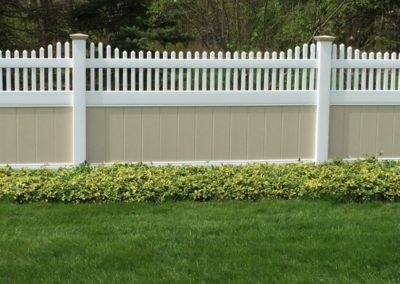 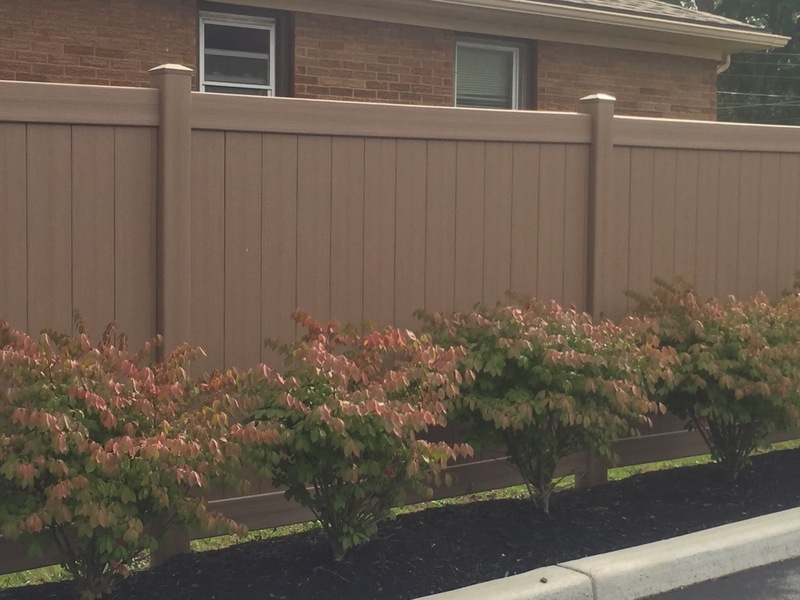 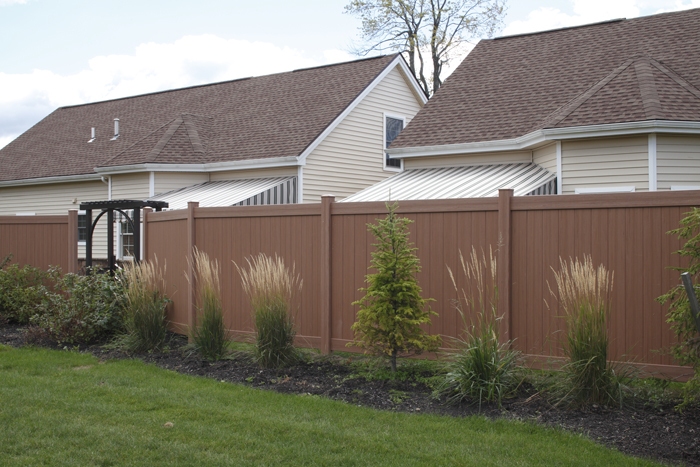 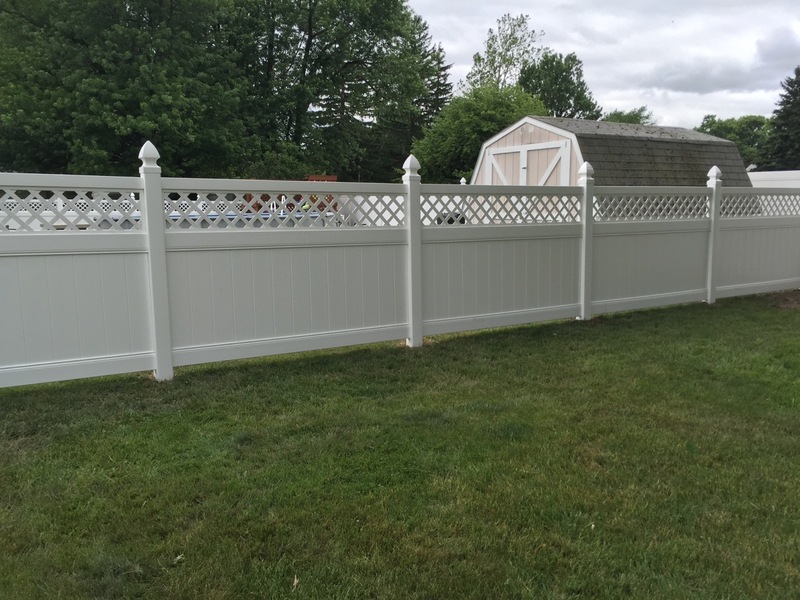 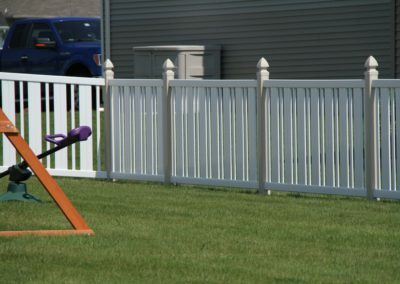 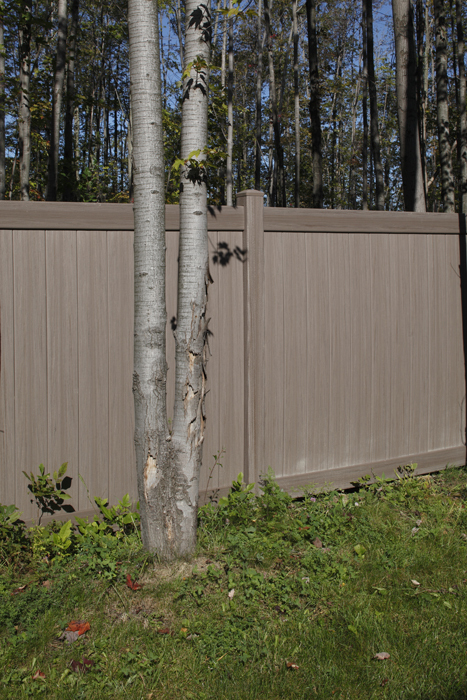 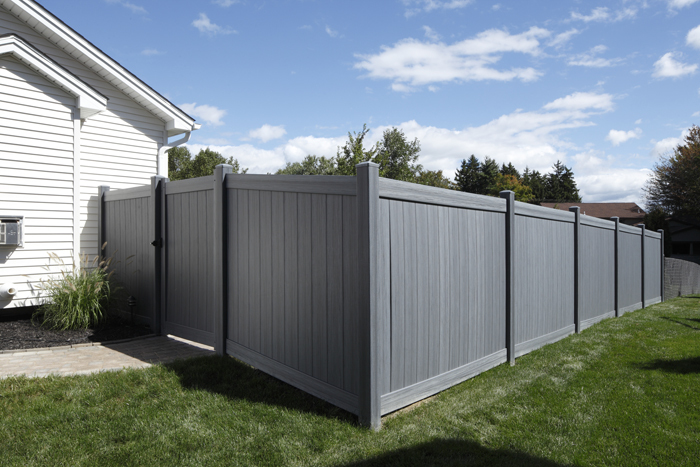 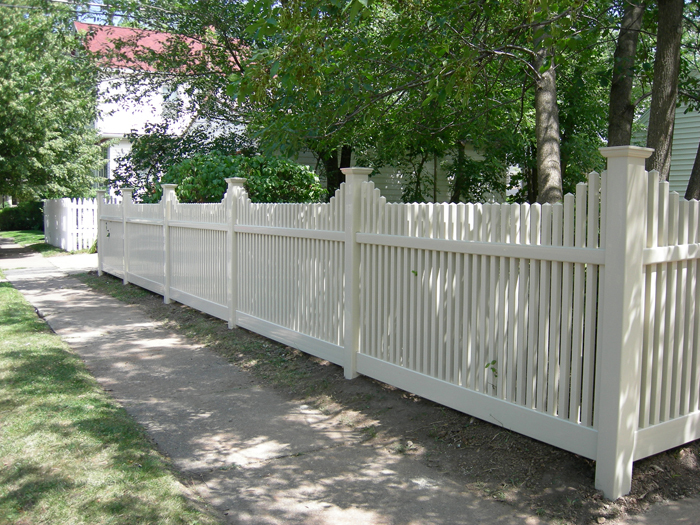 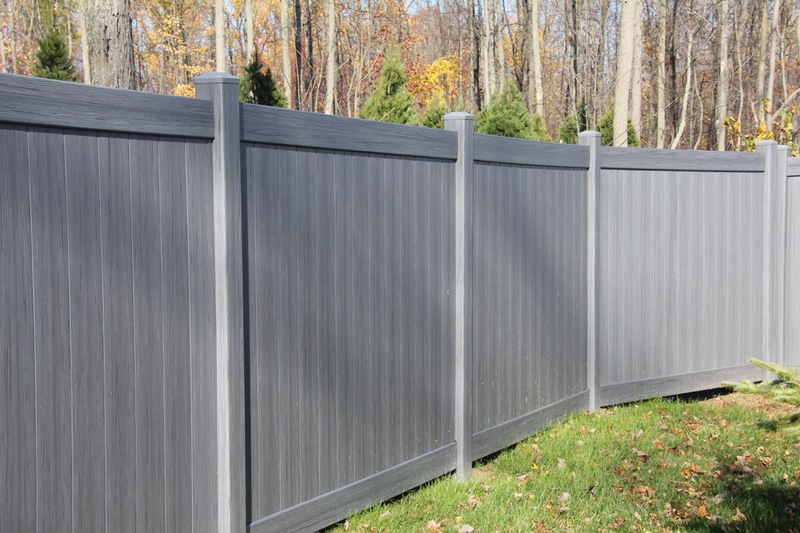 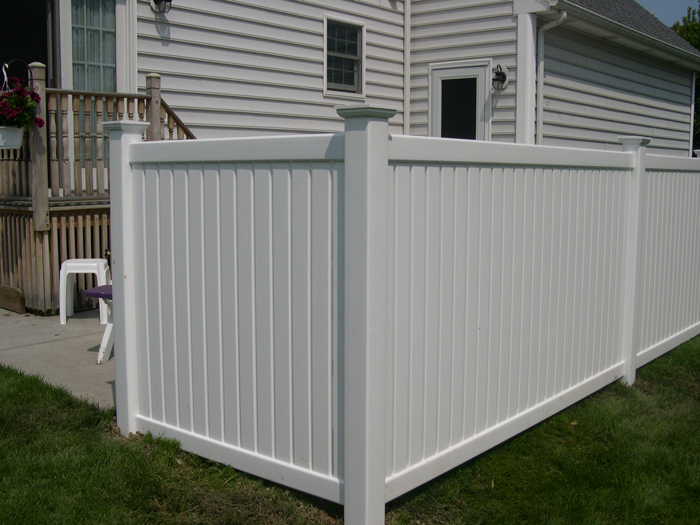 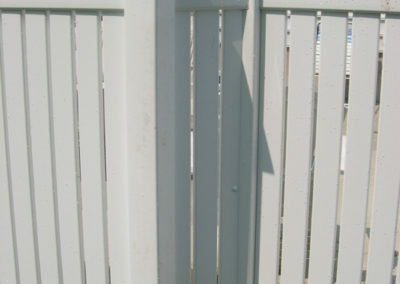 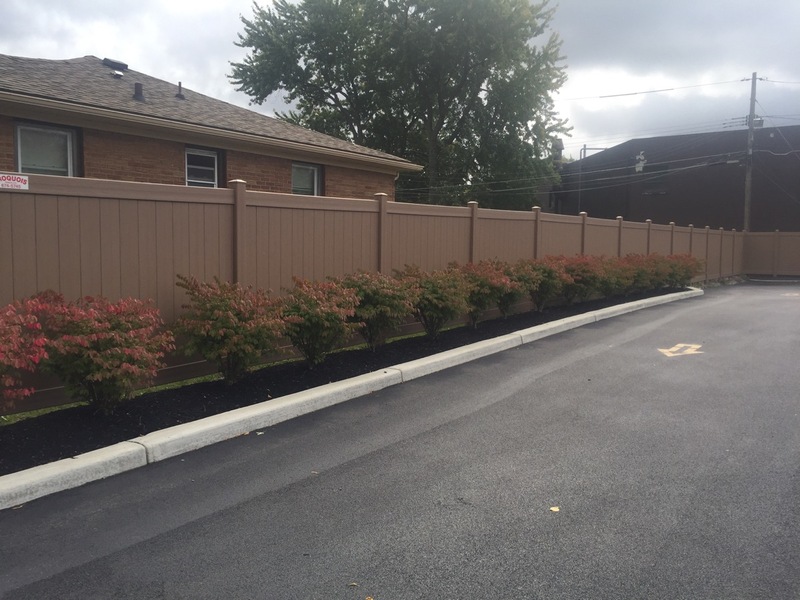 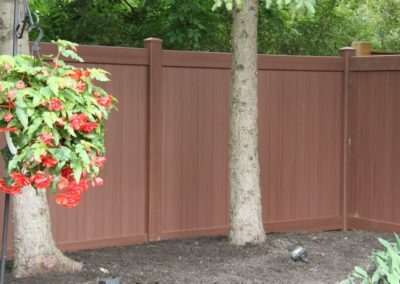 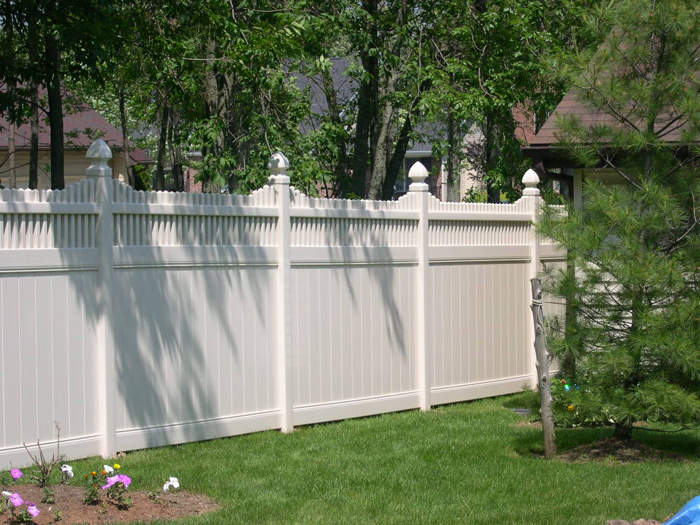 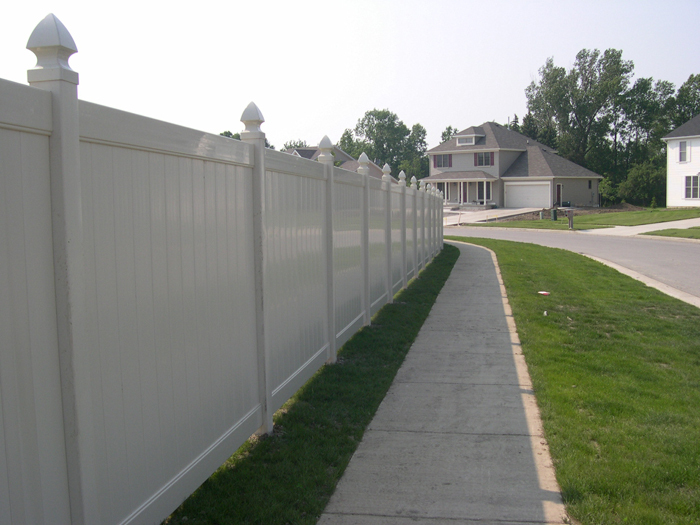 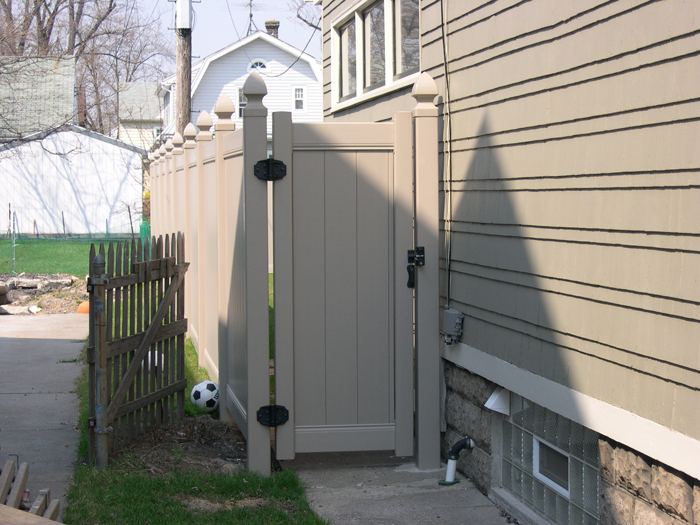 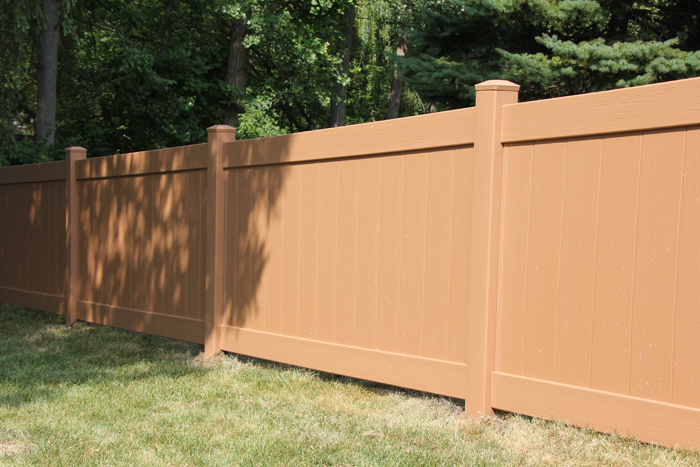 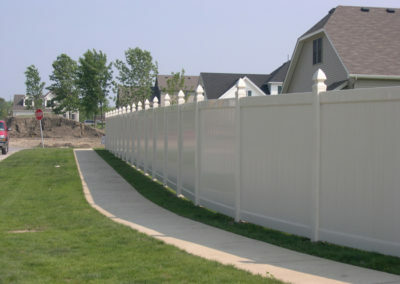 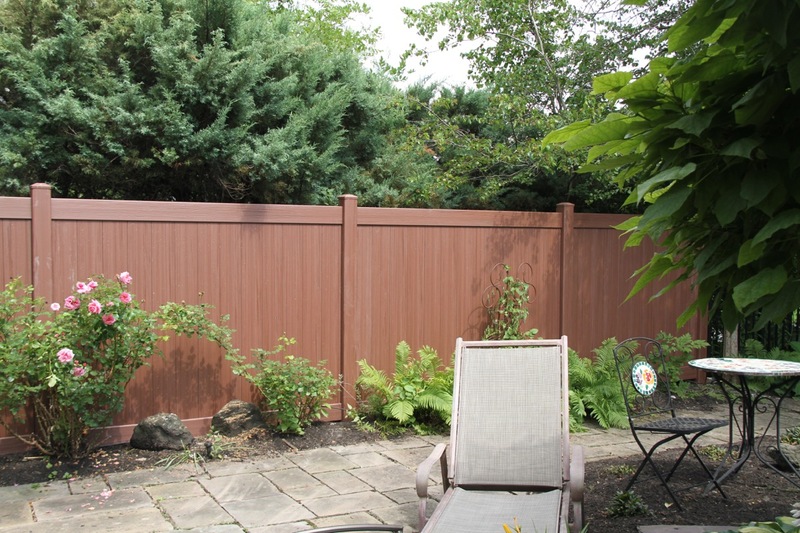 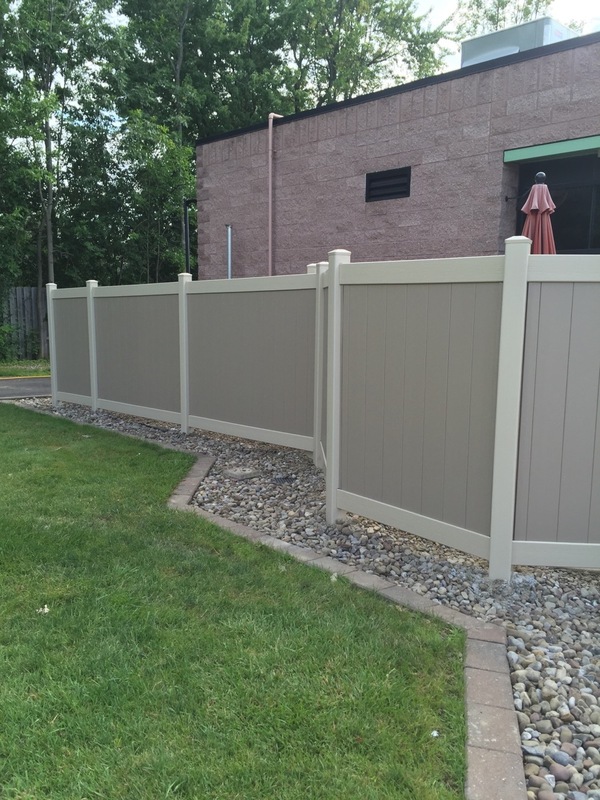 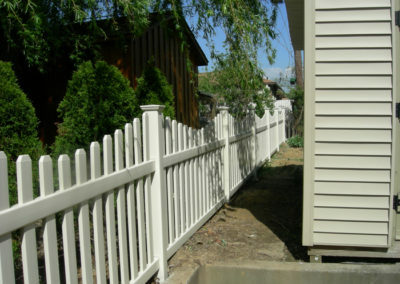 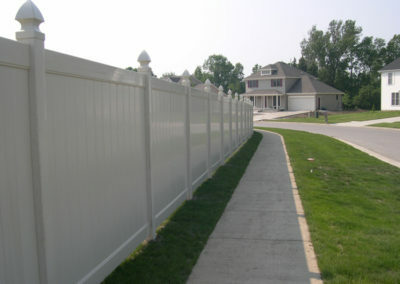 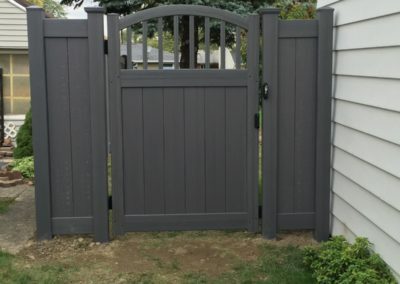 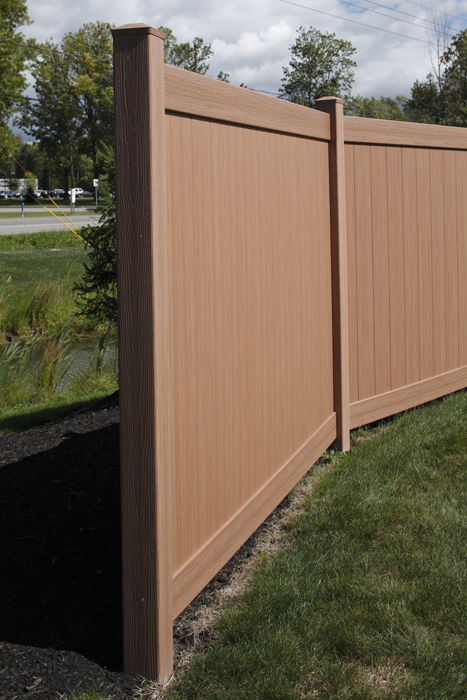 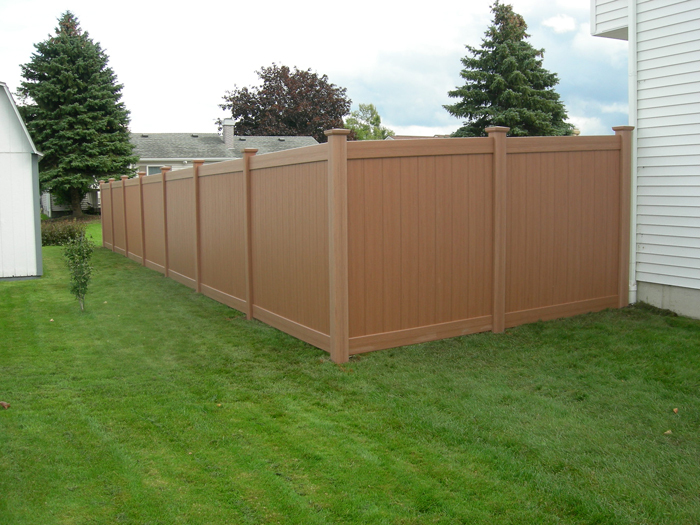 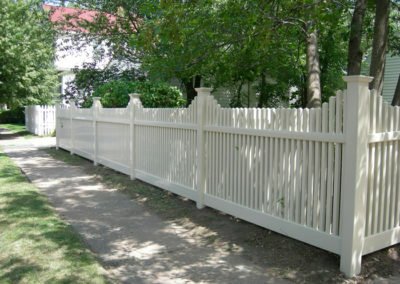 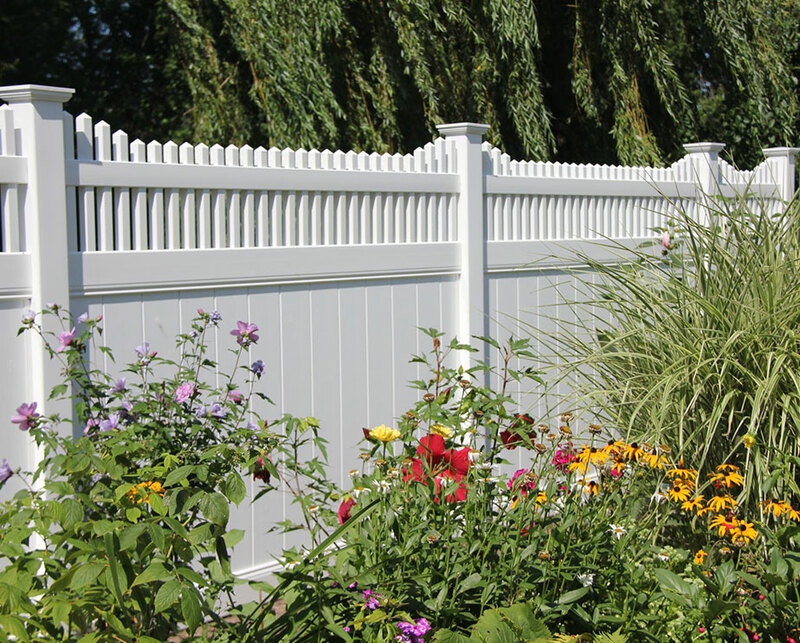 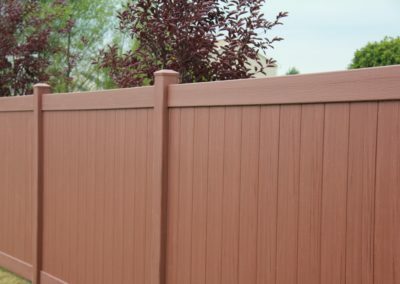 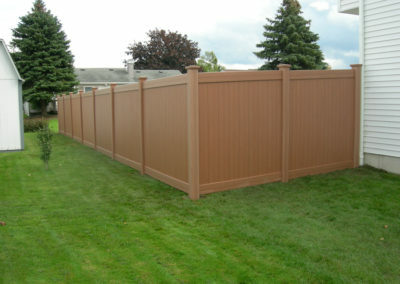 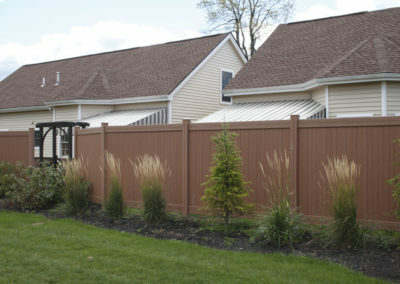 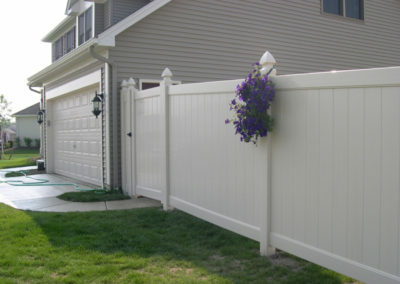 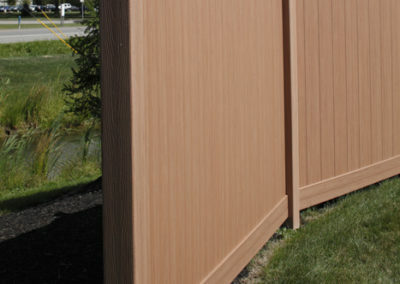 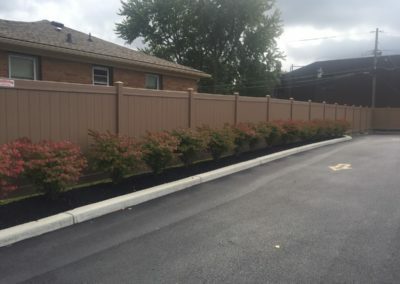 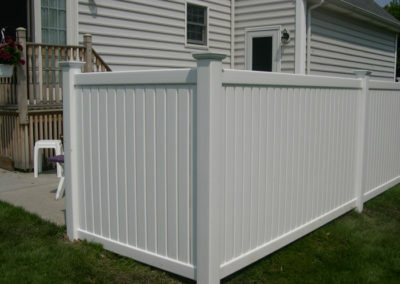 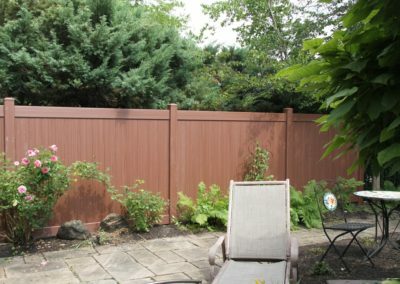 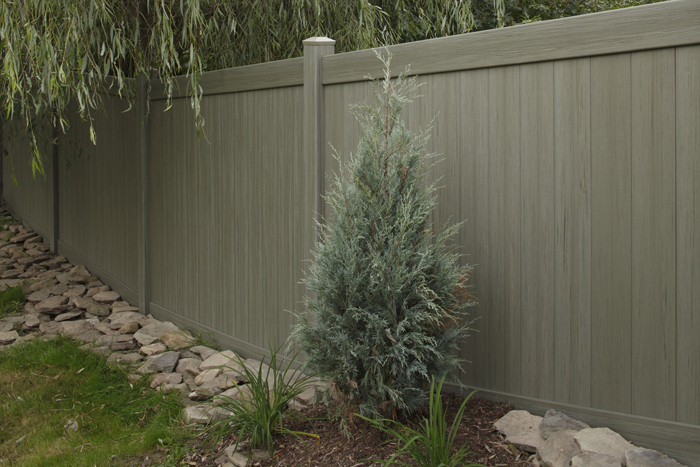 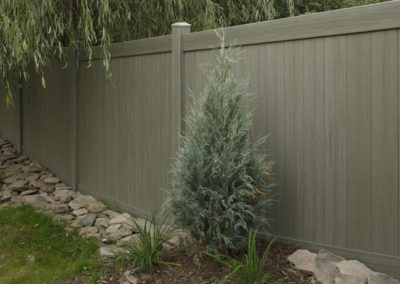 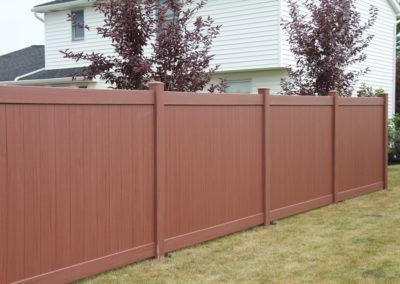 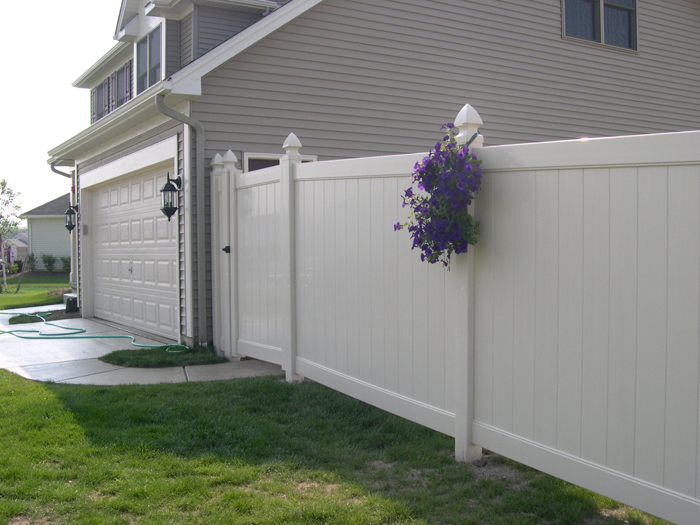 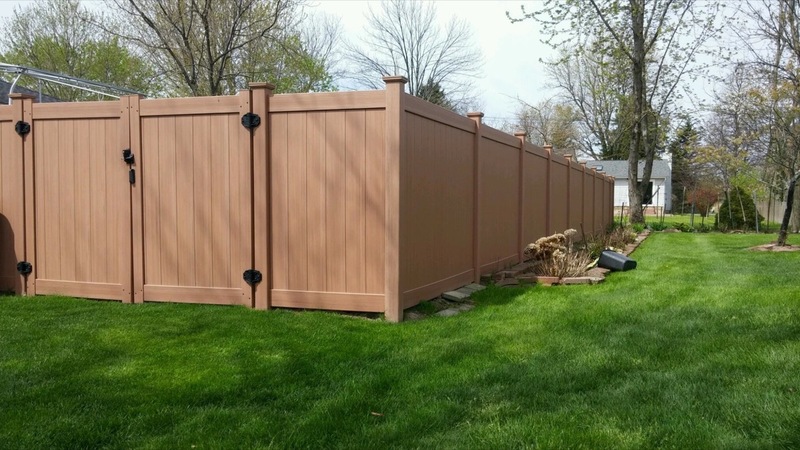 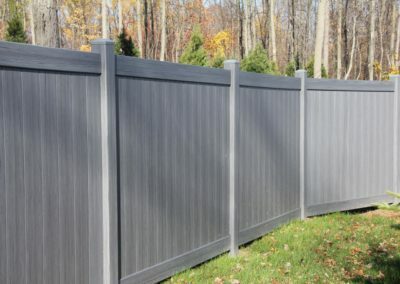 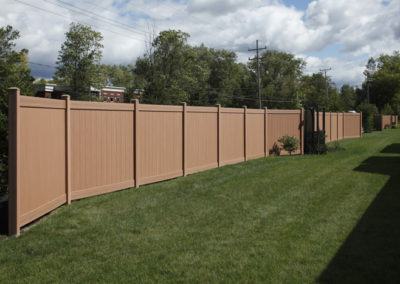 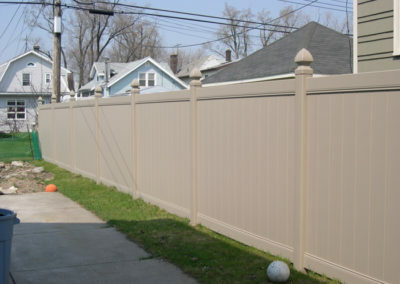 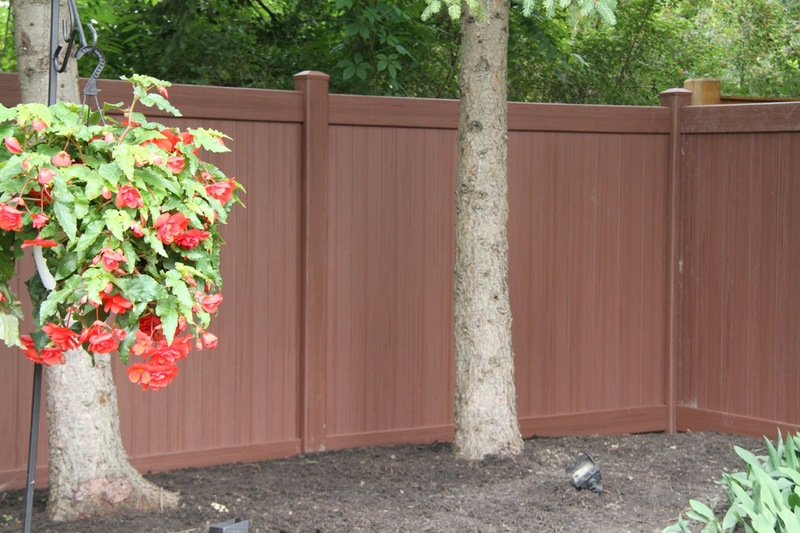 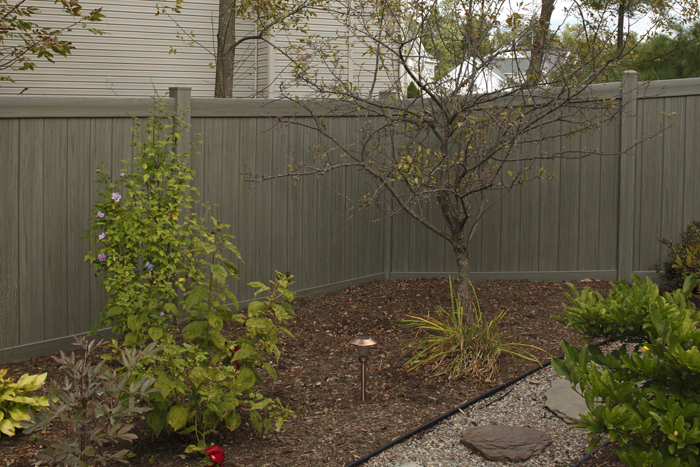 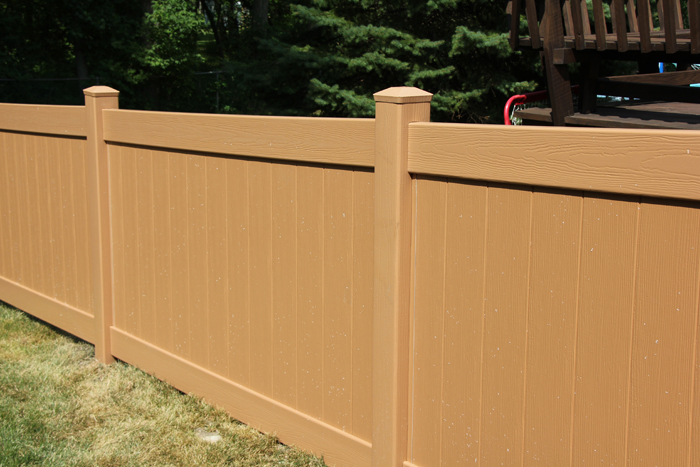 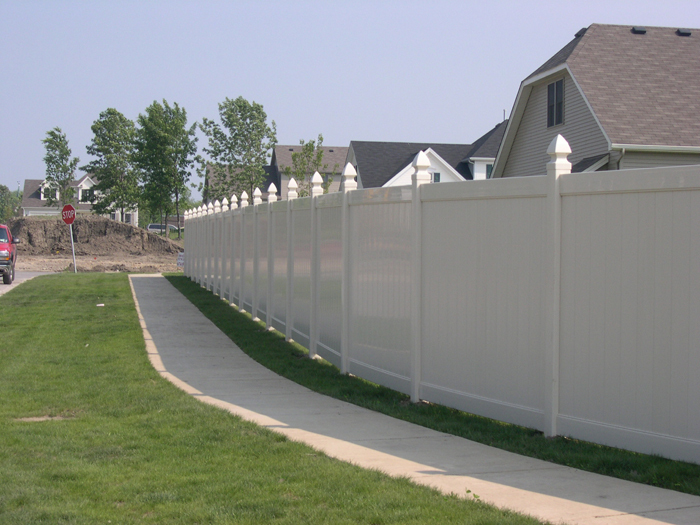 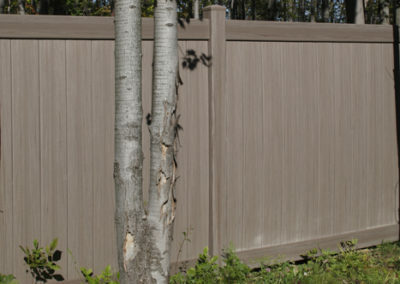 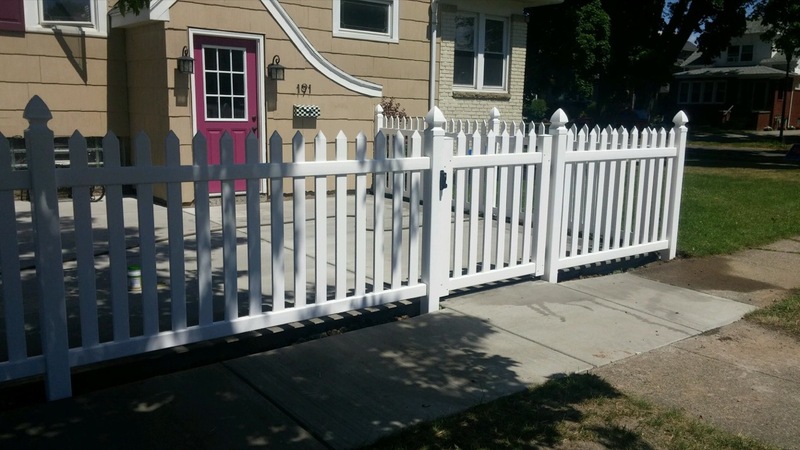 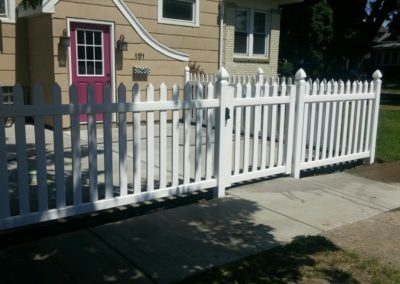 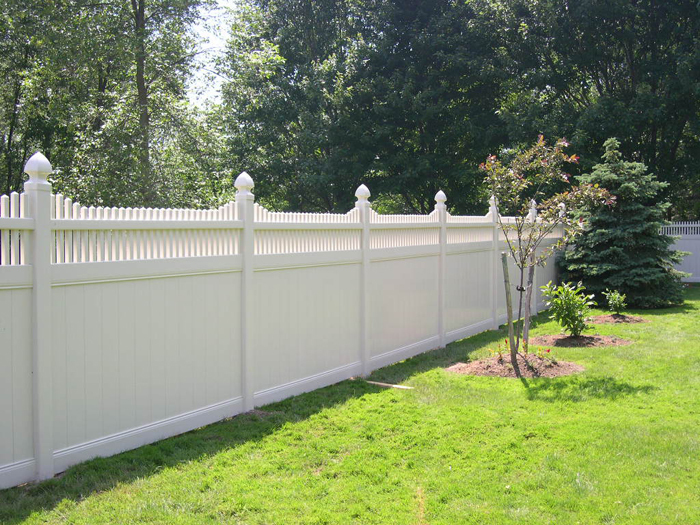 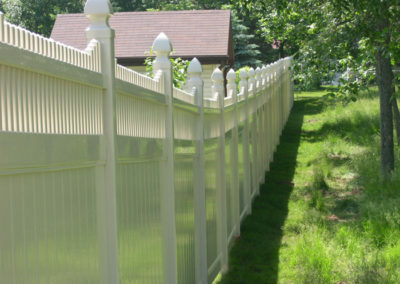 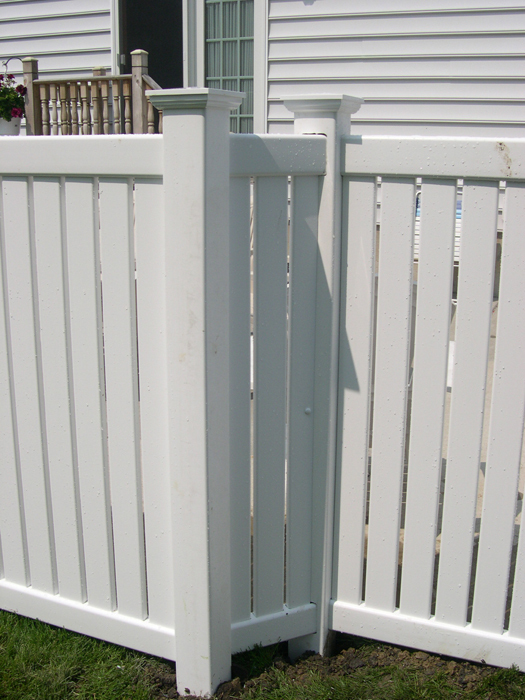 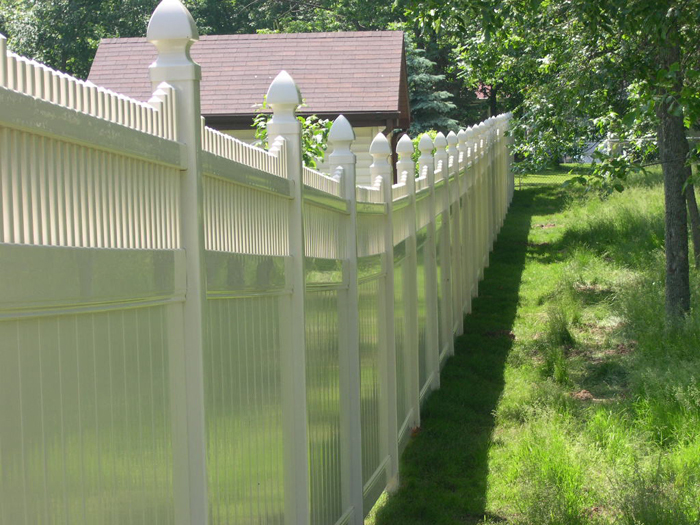 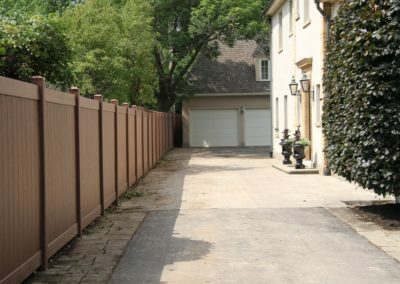 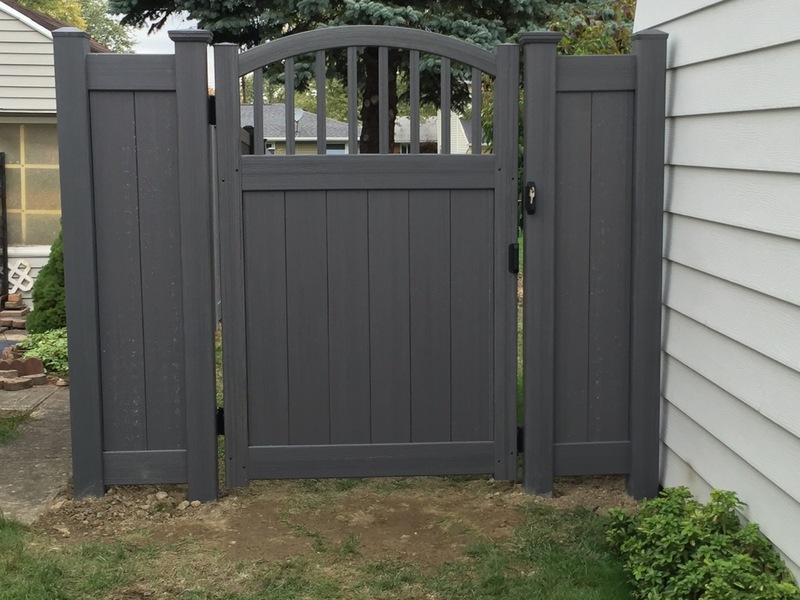 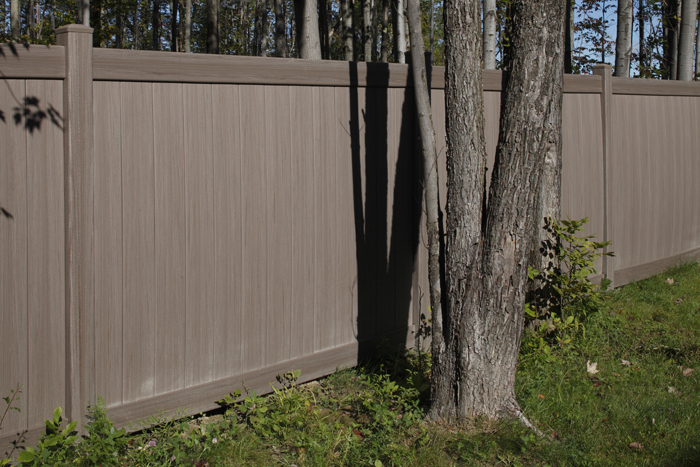 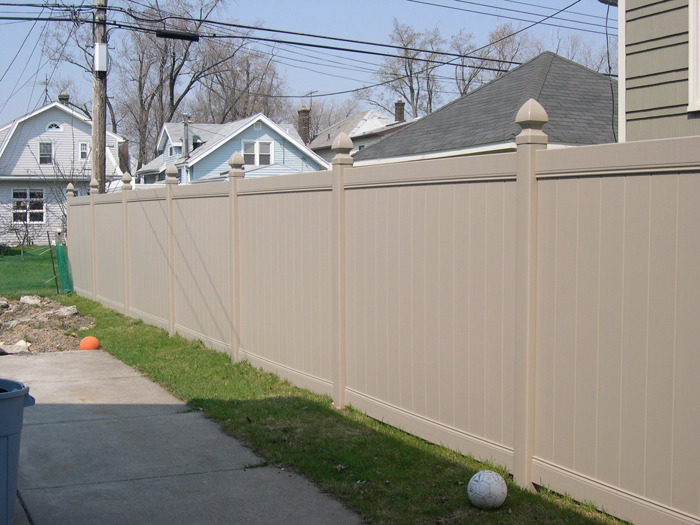 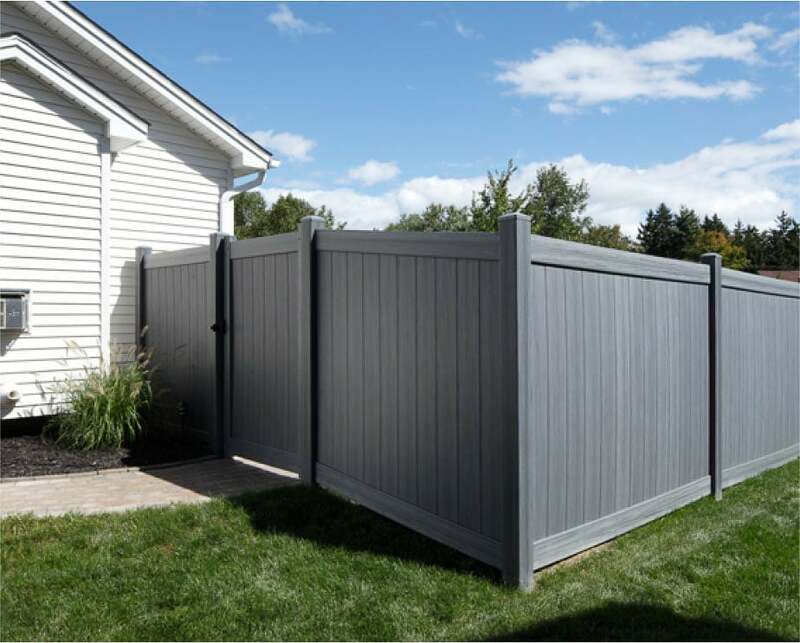 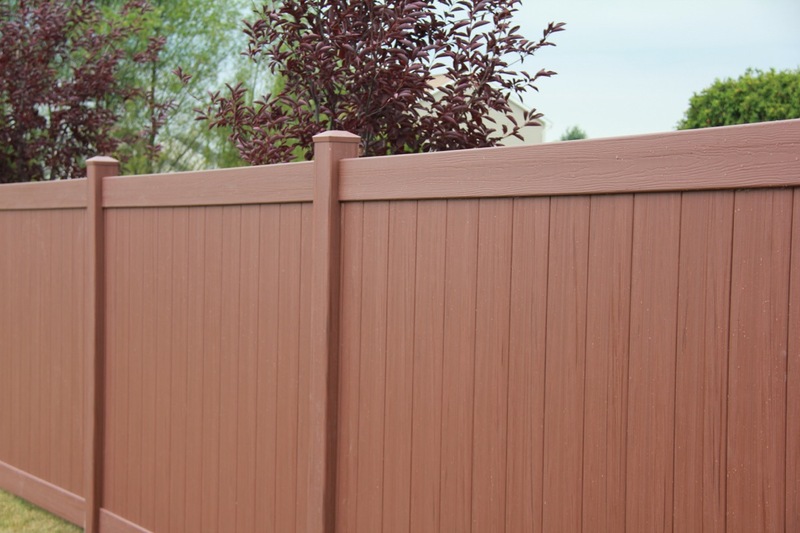 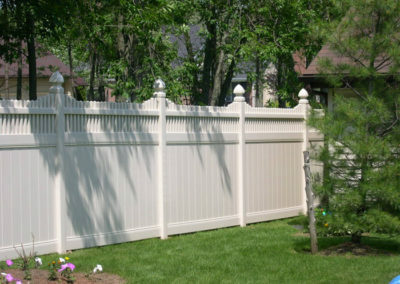 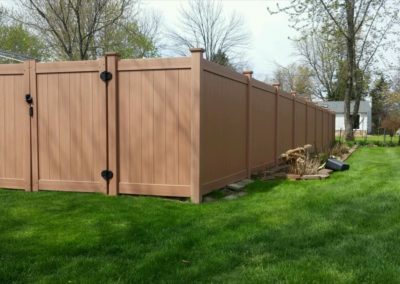 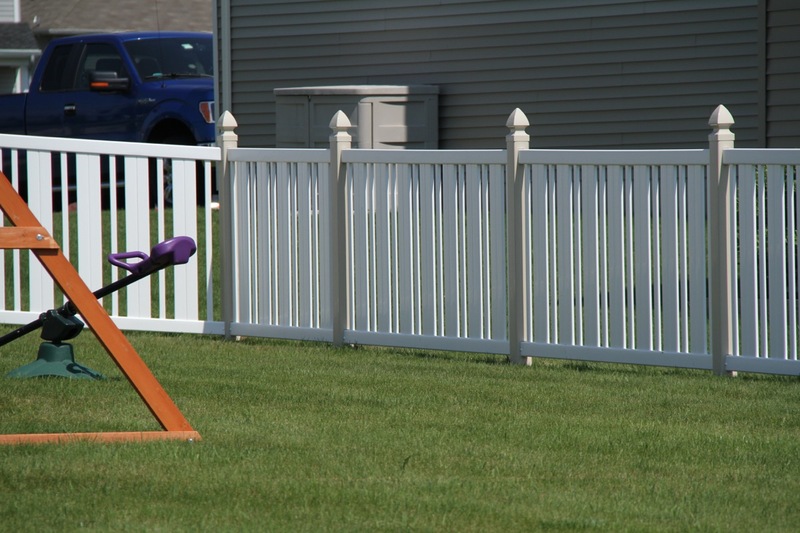 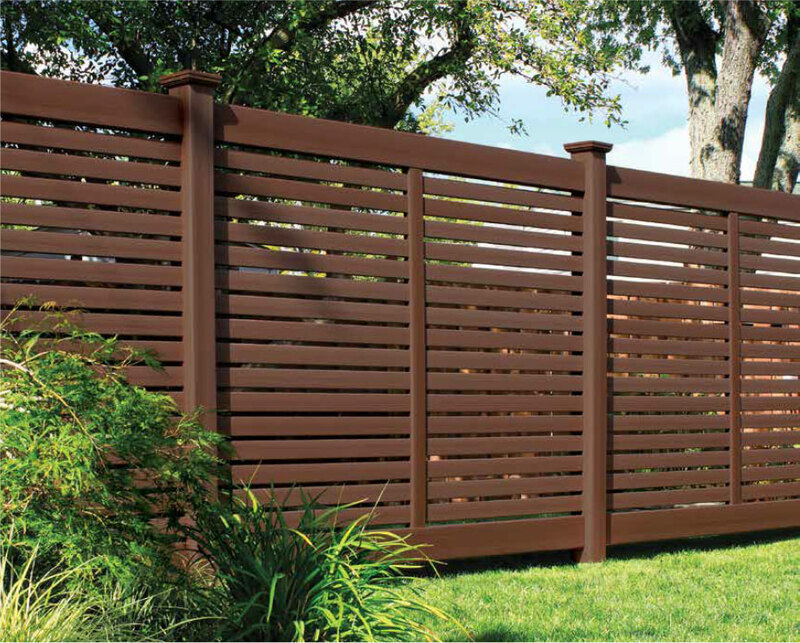 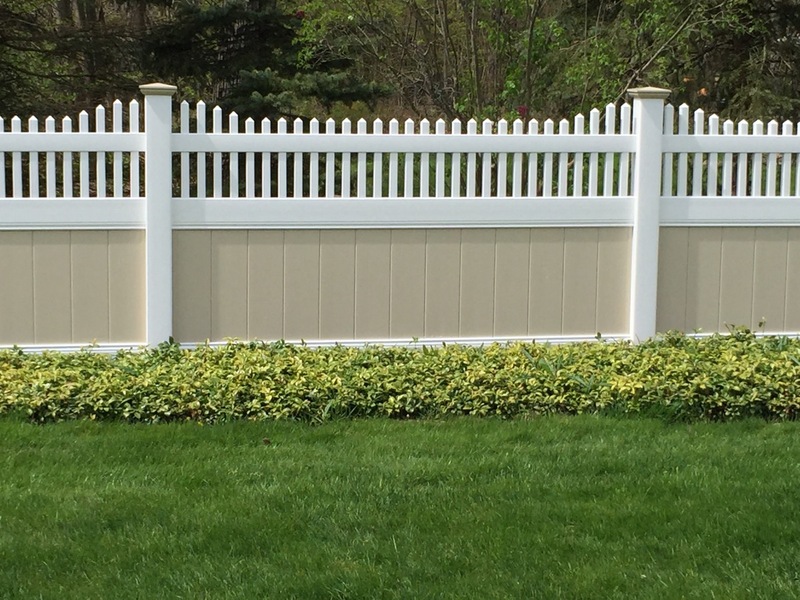 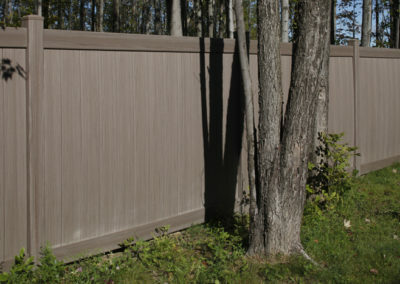 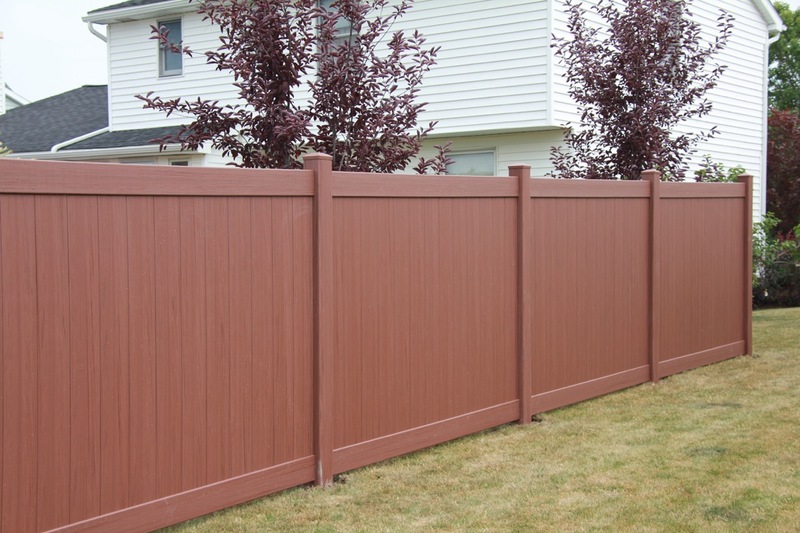 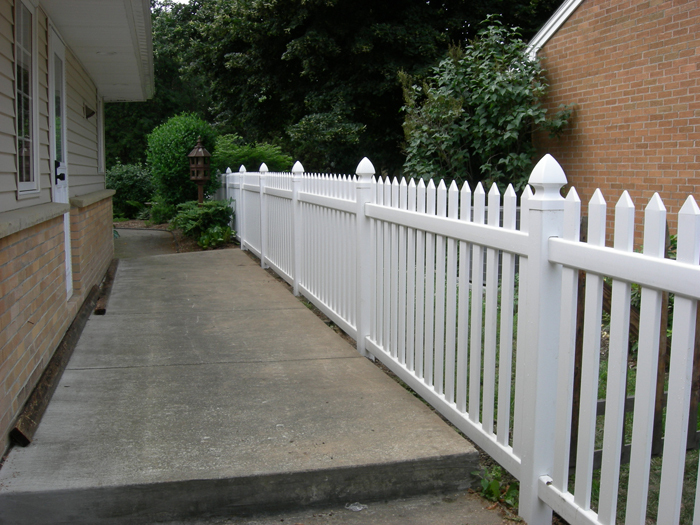 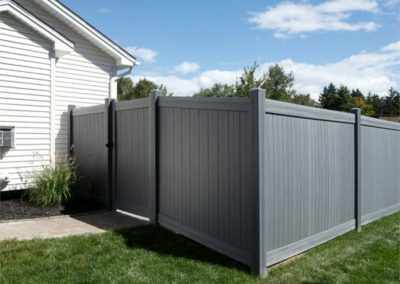 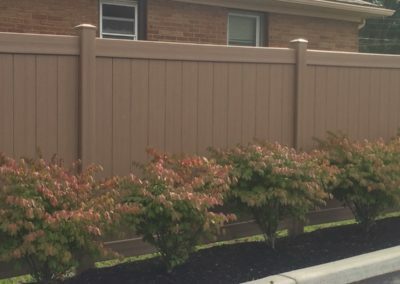 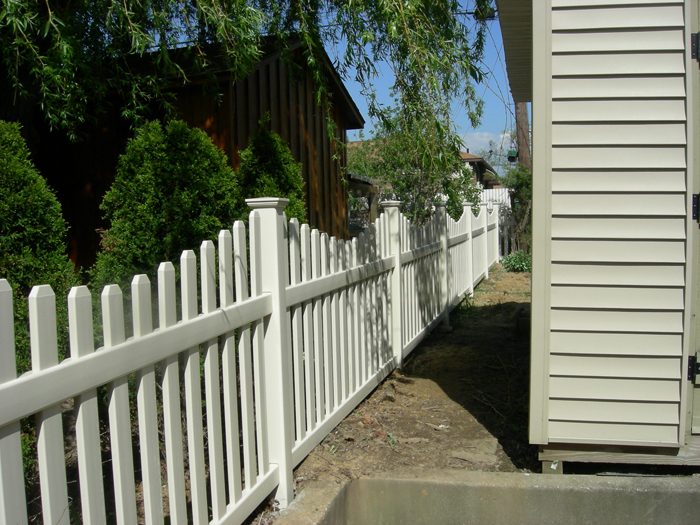 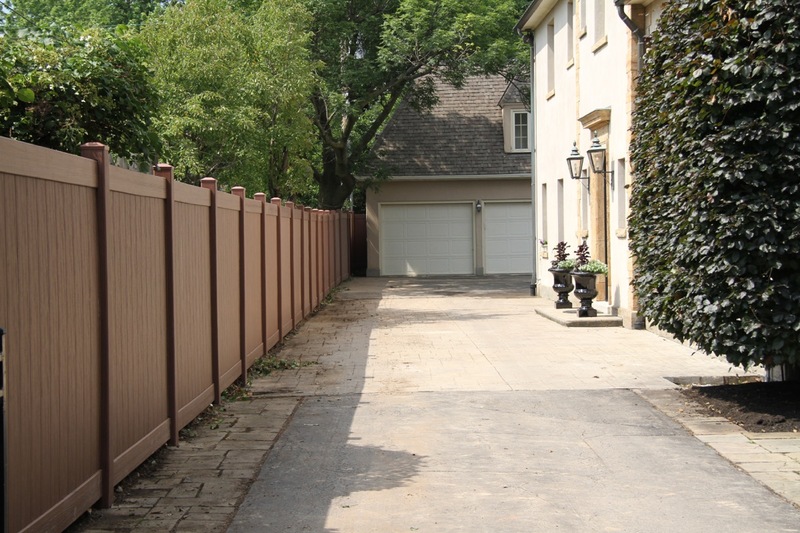 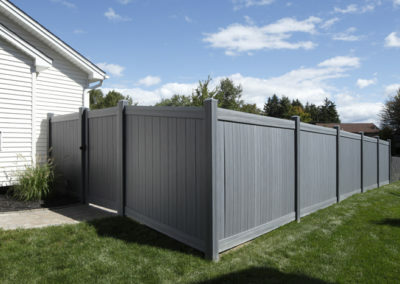 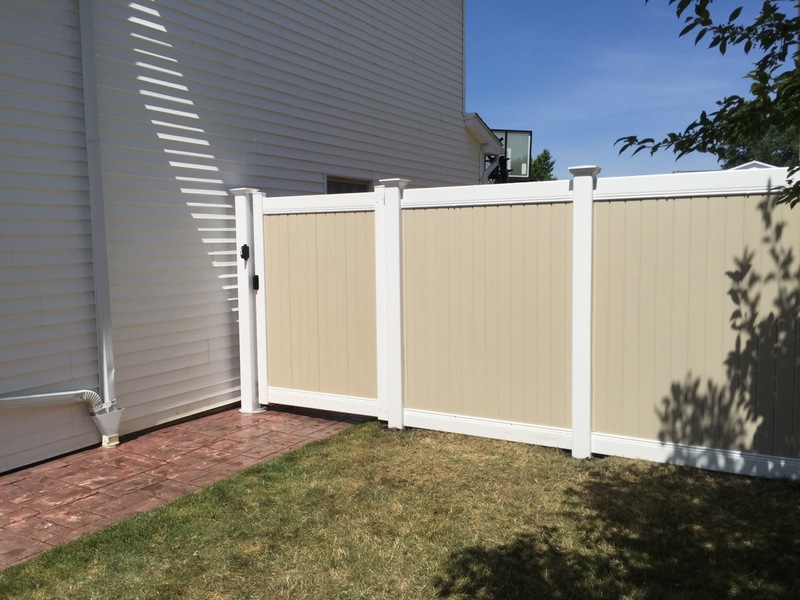 With great weatherability and an entire line of low-maintenance fence styles, colors, textures and sizes, your vinyl fence is designed to provide years of worry-free safety.